ReVolt Electric Motorcycles, a subsidiary of Texas-based lithium-ion battery tech outfit Alternet Systems, is one of the many e-moto startups that have sprung up in the last couple years. ReVolt’s bikes will reportedly be the company’s first real-world application of its trick lithium battery tech. The electric motorcycle startup’s inaugural offering will reportedly be the “ReVolt Classic Electric Motorbike”, a modern machine dressed up in antique digs based on the legendary BMW R71. This isn't the first bike inspired by the old Beemer. 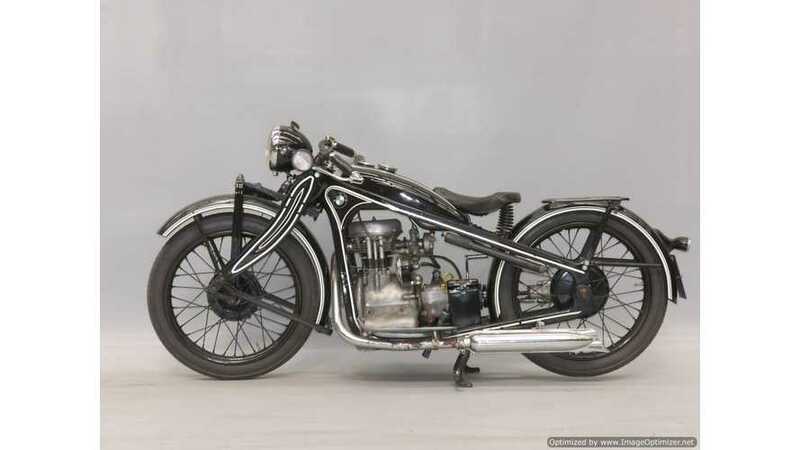 Back in the late 30s, Russia licensed the R71 from BMW for a military bike. That license gave birth to the M72. In the mid-50s, the Chinese government acquired all the M72 tooling from the Soviet government and cranked out their own version—the Chang Jiang 750—until the mid-90s. Today's Urals are descendants of the old M72, as are the defunct Dnepr motorcycles, which is a testament to the R71's utility and staying power. There’s no word as to whether ReVolt’s bike will use a double loop tubular steel chassis like the R71 did, but we do know for sure that the Boxer twin is gonna be replaced by an unspecified electric powertrain that draws energy from the company’s proprietary lithium battery tech. ReVolt says it’s mainly targeting the US market, though it has also made mentions of following its debut model with a more utilitarian commuter aimed at emerging markets. ReVolt says it’s aiming to have its first model all ready for regulations and safety testing as early as Summer of 2018, and hopes a limited production run will be released sometime around the end of the year. Once more information becomes available, we’ll be sure to update you.